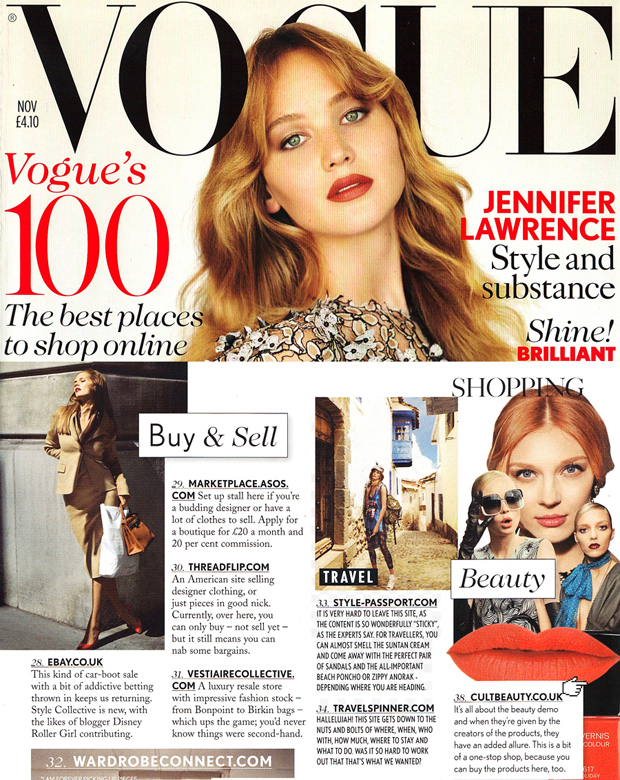 This is one of our most exciting accolades so far; Cult Beauty has been included in Vogues 100 Best places to shop online, one of only five beauty sites in the whole list. Thank you so much Vogue for your vote of confidence, we really hope you all feel the same. If there is anything you think we could improve please email me alexia.inge(at)cultbeauty.co.uk, I would love to hear your feedback on the new site. Here's the Vogue piece.